Who Was The Tour de France Driver Who Tried To Crash Through The Barricades? The Paris police opened fire on a car that tried to drive through a Tour de France barricade on Sunday, according to BBC News. Police were putting up barricades around the Champs-Élysées around 8 a.m. Paris time when a driver first hit a parked vehicle in the Place de la Concorde and then tried to drive through the Tour de France barriers. Police opened fire on the car to try to stop it, though BBC News said no shots were fired or returned from the driver. Who tried to drive through the Tour de France barriers? Police suspect that there were two people in the car, and they're searching for them throughout the city, according to BBC News. Luckily, Tour de France competitors weren't going to make it to that part of the race for another eight hours, so no cyclists were at risk of being injured and no officers were injured in the incident, according to Fox News. BBC News also reported that there is no suggestion of terrorism as a motive; rather, they suggested that it could have been a partygoer who was driving home after a night out. Terrorism was originally suspected because the incident took place so close to the U.S. Embassy, according to The Telegraph. Tour de France race director Thierry Gouvenou told Fox News that he didn't have a lot of information about the incident but that he didn't see it affecting the race. Despite the incident's seemingly minimal impact, a major investigation is underway, according to The Telegraph. The car was found abandoned nearby a few hours after the drove away, with a number of bullet holes clearly visible in the body. Witnesses told police they saw two men and two women get out of the car. Le Parisien reports that the car was registered to an owner living in Mantes-la Jolie, a town about 35 miles west of Paris, according to The Telegraph. Police have not made the owner’s name public and have denied reports that the driver might have been injured by police fire. The final stage of the Tour de France is scheduled to begin at 4:35 p.m., where cyclists will leave from Sèvres, a town southwest of Paris, according to Fox News. 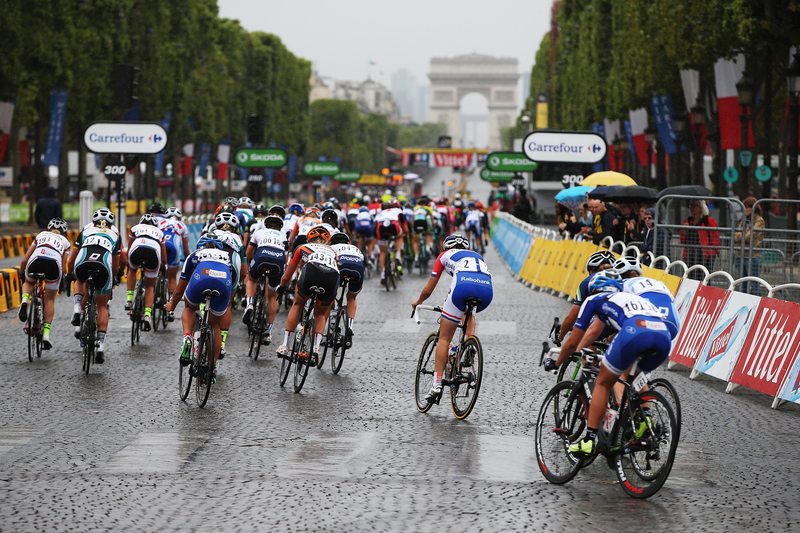 The riders should arrive at the French capital around 5:30 p.m., where they will do 10 laps around the Champs-Élysées before finishing at Place de la Concorde at about 7 p.m.